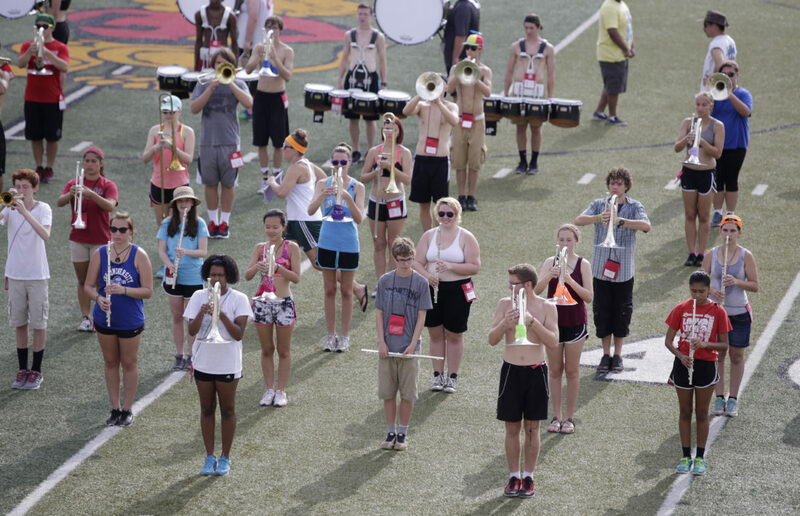 Photographs from a Lawrence High School Marching Lions band rehearsal Monday, August 10, 2015. Lawrence High School Marching Lions band members Emily Walthall, junior, and Miranda Doores, senior, high-five each other after completing a routine on the LHS football field during band rehearsals Monday, August 10, 2015. The band will perform at halftime in the Lions first home game Friday Sept. 4 against Blue Valley West. Members of the Lawrence High School Marching Lions band rehearse on the LHS football field Monday, August 10, 2015. The band will perform at halftime in the Lions first home game Friday Sept. 4 against Blue Valley West. 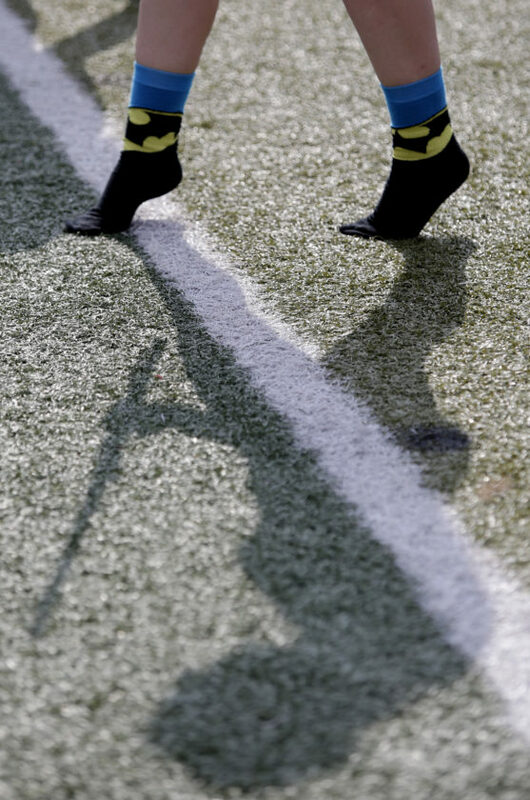 A band member stops in mid-stride, in her Batman socks, during a Lawrence High School Marching Lions band rehearsal on the LHS football field Monday, August 10, 2015. The band will perform at halftime in the Lions first home game Friday Sept. 4 against Blue Valley West. Andrew Slimmer, a senior with the Lawrence High School Marching Lions band, rehearses on the LHS football field Monday, August 10, 2015. The band will perform at halftime in the Lions first home game Friday Sept. 4 against Blue Valley West. 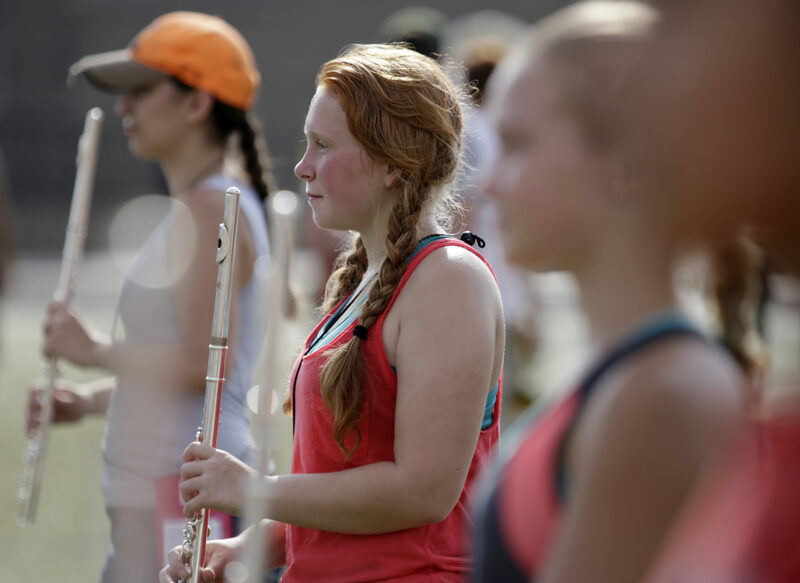 Lawrence High School sophomore Hanna Gaines, center, rehearses with the Marching Lions band on the LHS football field Monday, August 10, 2015. The band will perform at halftime in the Lions first home game Friday Sept. 4 against Blue Valley West. 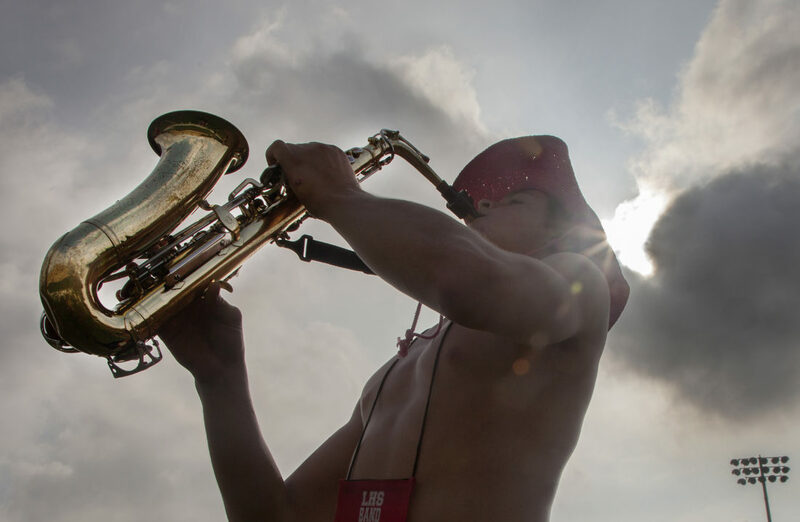 Members of the Lawrence High School Marching Lions Band cool off in front of a fan during a break in band practice Monday, August 10, 2015. The band will perform at halftime in the Lions first home game Friday Sept. 4 against Blue Valley West. 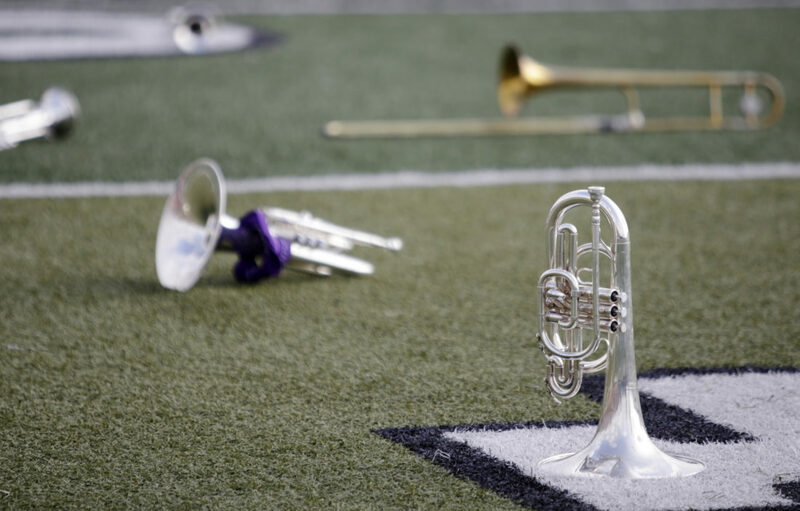 Band instruments lay scattered on the field during a water break in a Lawrence High School Marching Lions band rehearsal Monday, August 10, 2015. The band will perform at halftime in the Lions first home game Friday Sept. 4 against Blue Valley West. 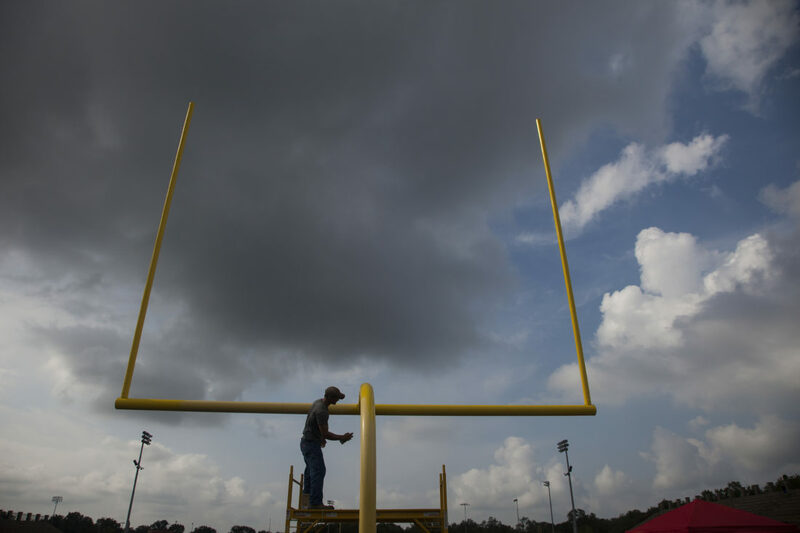 Brandon Schmidt with the Lawrence school district facilities and operations department, spray paints the north goal post on the Lawrence High School football field Monday, August 10, 2015. The posts had last been painted six years ago and each post requires a dozen cans of yellow paint. The Lions first home game is Friday Sept. 4 against Blue Valley West. Free State high school opens their season at home the same night against Shawnee Mission West.